When I was young I spent a lot of time driving a tractor back and forth across my father's fields. I guess I wasn't much of a farmer because I always had my ears glued to the radio when I should have been listening to the sounds of the tractor and the equipment behind me. I was addicted to country music and trying to learn every big hit that came over the airwaves by heart. In the 1990's, one of the big groups on the radio was the a mother/daughter duo called 'The Judds'. They had a modern sound that balanced harmony and rhythm. One of their major hits was a song called 'Love Can Build A Bridge' that they recorded in 1990. Written by Naomi Judd, Paul Overstreet and John Barlow Jarvis, this was a slow piece that struck me strait through the heart. I have always loved this tune and today I thought that I'd give a try recording it. It has great lyrics and a wonderful message. 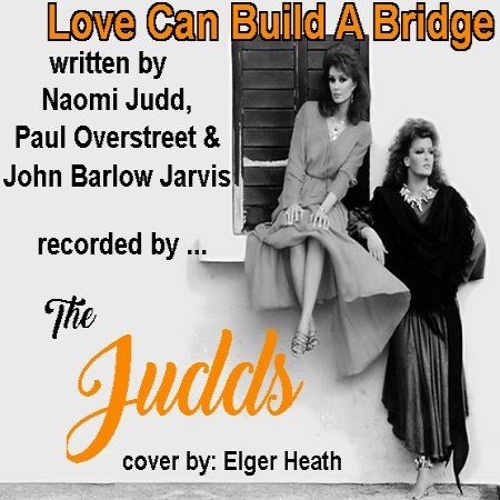 At any rate, here is my effort at covering The Judd's, “Love Can Build A Bridge”.